What to see along the way. The return to Melbourne via Colac takes 3 hours / 229 km / 142.5 miles. 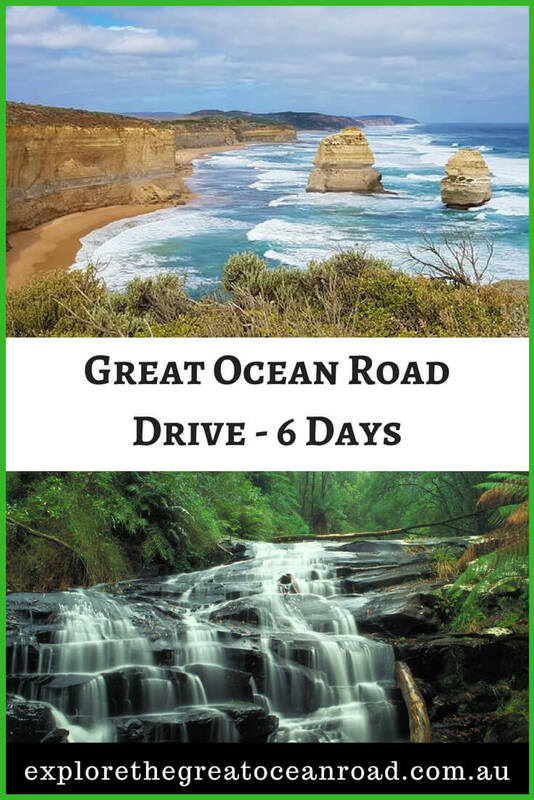 The drive along the Ocean Road can easily take 6 days or more. 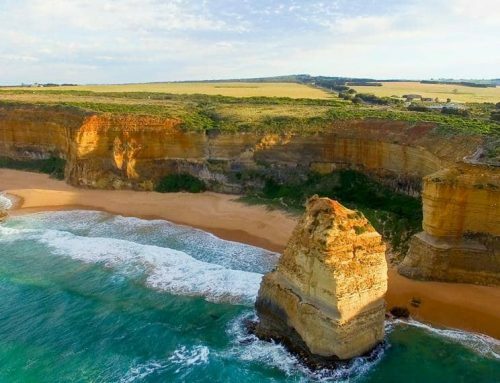 Long golden beaches, waterfalls of the Otways, bushwalks and loads of activities from surfing to treetop adventures, culminating in the famous 12 Apostles – there is no shortage of things to do. With some of the best waterfalls, great hikes, a zip line adventure park and a fabulous little seaside holiday town to explore with a beautiful beach and tonnes of places to stay and eat, 2 nights (at least) in Lorne will be ideal. 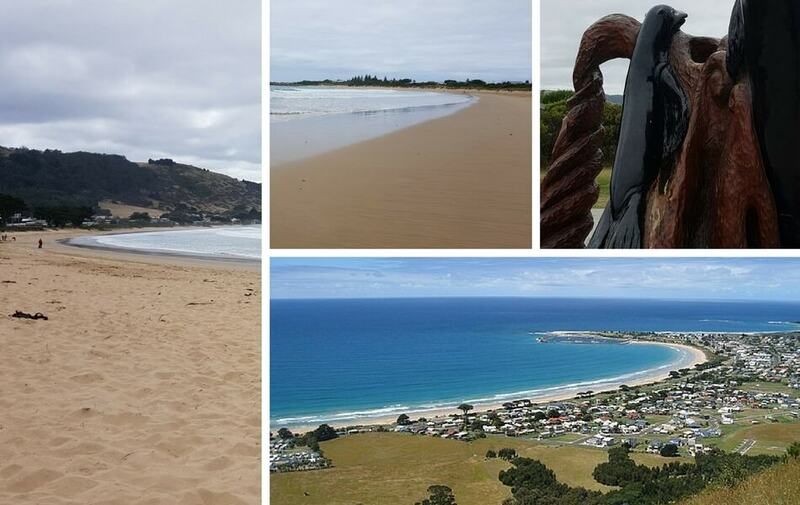 From Apollo Bay it is easy to do a loop of the area as a day trip to see waterfalls, the Otway Fly Treetop walk and historic lighthouse, then return for another night. 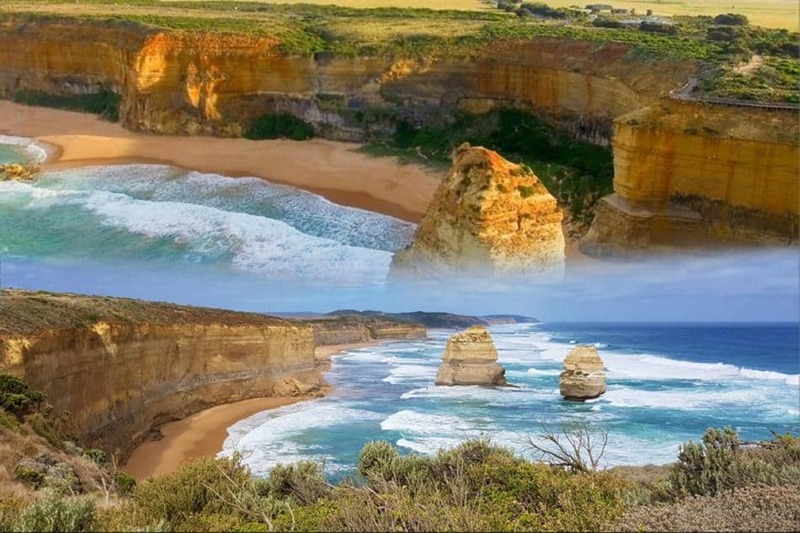 Driving from Apollo Bay to Port Campbell is incredible as the famous Twelve Apostles are the biggest attraction. One night (or more) in Port Campbell will give plenty of time to explore and perhaps see the Apostles at sunset/sunrise too. 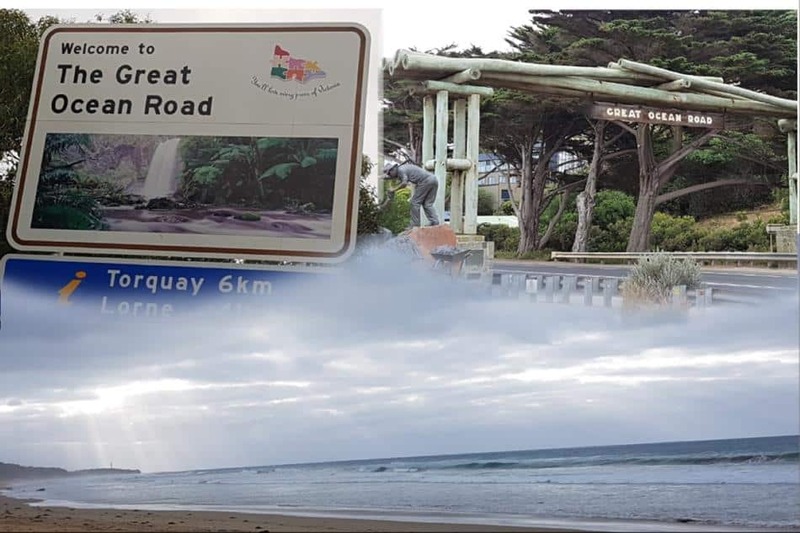 The first town encountered along the Ocean Road is Torquay. 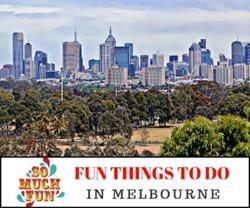 A popular family destination for generations of Victorian’s and a great little town. Safe swimming beaches as well as the National Surfing Museum, Surfing gear outlet shops and places to eat. Bells Beach is close by to Torquay, home of the Rip Curl Classic Surf competition, held annually every Easter since 1961 (during the event there is no free public access along the road that leads to the beach or onto the beach). A Chocolaterie may not be something one imagines when touring the Great Ocean Road – but this place is divinely decadent! Located on the main road between Bellbrae/Bells Beach and Anglesea, it’s well worth stopping in at as the regular food on offer is exceptional too. 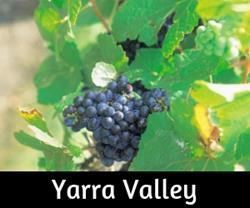 The Chocalterie has an ‘older sibling’ in the Yarra Valley that is just awesome too. Pt Addis beach and the wonderful Koori Cultural Walk. Horse riding at Blazing Saddles... in the forest or along the beach. 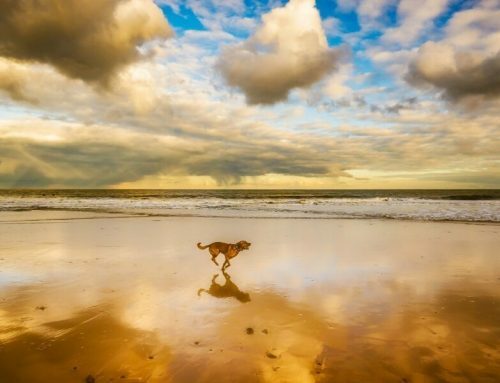 Anglesea – hire a paddle boat or spot kangaroos on the local golf course. Long golden beaches and surf spots, good reasons to take it slowly and relax. Great Ocean Road Memorial Arch and numerous lookout points. The busiest town along the coastal drive, Lorne has a beautiful beach in front and the forest comes right down to the back of the town. Lots of great cafes and restaurants, interesting shops and plenty of accommodation choices from campgrounds, to cottages and 4+ star resorts. Visitor Information Centre and Great Ocean Road Story display, well worth popping in to find out some fascinating history. 15 Mt Joy Parade. The Lorne Historical Society, open on Sundays from 10-12, read more on their website. Erskine Falls is an easy drive or a good hike, following the Erskine River from the town. Lots of other walks and waterfalls in the area too. Plenty of fun can be had for kids on the foreshore with a lovely beach, swimming pool, in-ground trampolines, a skate park and playground. Teddy’s Lookout is an ideal spot for a few walks and super views down along the Ocean Road. Turn right at the Lorne hotel and drive up the hill, following the signs. Artillery Rocks – A favourite of ours. Popular for fishing, the rock formations are worth seeing. They are about 12.5 km’s/under 20 minutes drive from Lorne (this is not signposted, but use the directions from the image below if you want to stop, one of our favourite spots). Sheoak and Carisbrook Waterfalls are both easy walks that start from car parks along the Ocean Road. Clearly signposted. A number of lookout points and parking areas provide views and beach access, some are suitable for long vehicles. Kennett River and Koalas in the wild! The tiny community of Kennett River boasts possibly the best koala viewing in the area. Turn right towards the shop and then left up Grey River Road. Koalas can be anywhere here and it is a good spot for seeing the colourful King Parrots and Crimson Rosellas. 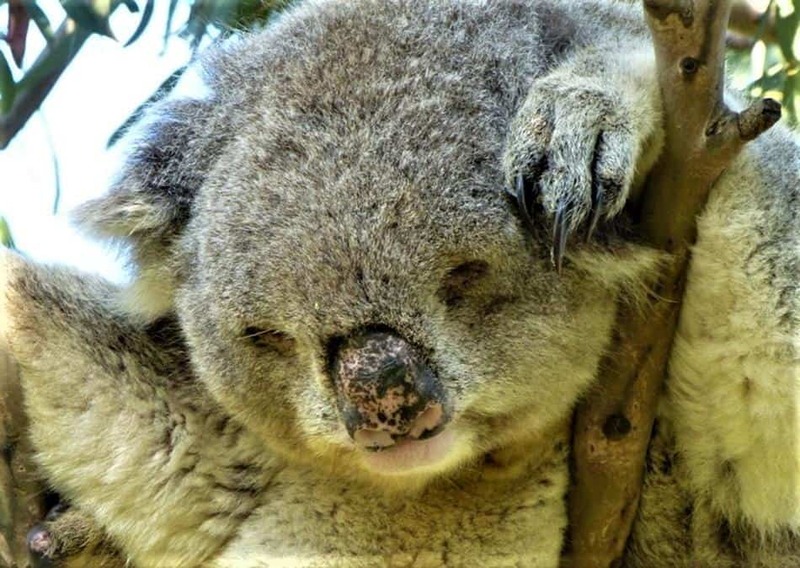 Drive a couple of km’s up the road to escape the crowds perhaps and look for koalas. Further up is the Grey River Reserve, a pretty picnic area and well known for viewing glow worms after dark. Some good accommodation options are in the area, for anyone wanting to stop over and maybe see the glow worms. Such a beautiful town for a holiday. Apollo Bay is not overdeveloped and has a super relaxed feel. The long golden beach, pier with fresh seafood for sale, rolling hills and a lovely foreshore area with playground, information centre, sculptures, free BBQ’s and walking tracks. The town has a large number of accommodation choices from youth hostels to luxury apartments. Caravan and camping parks in Apollo Bay offer a range of options from campsites, powered caravan sites and cabins. Buy fresh seafood from the pier & maybe spot seals at the end of the pier. 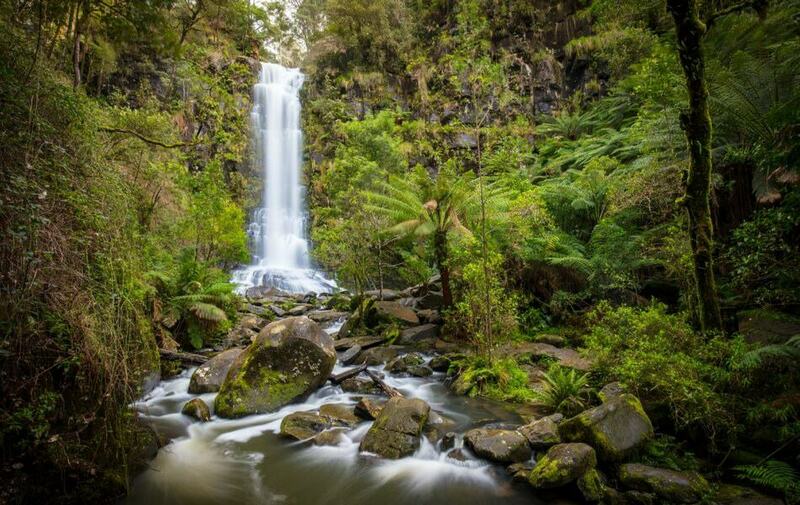 Do the Waterfalls and Otway Fly Tree Tops Walk day trip – details below. 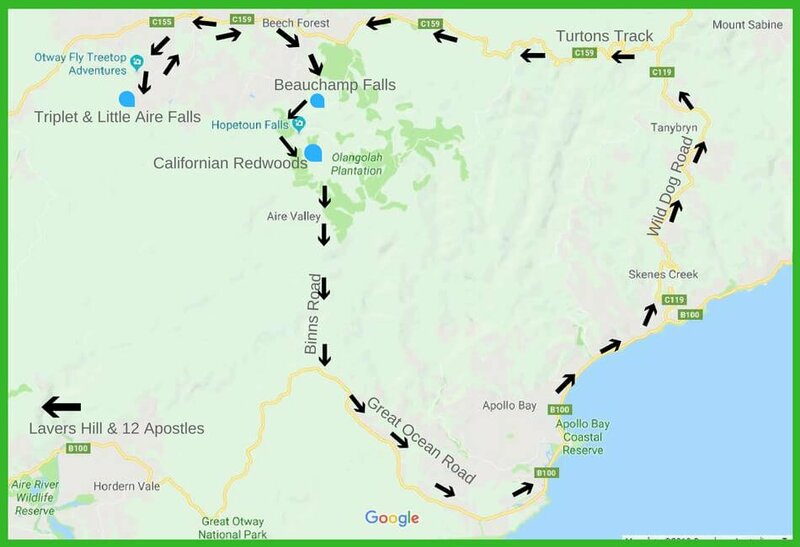 The ‘Great Ocean Walk‘ starts here, 8 days and 100 kms of adventure all the way to the 12 Apostles… Sections of the Great Ocean Walk can be done if you do not have time to spend doing the full 100kms. Spend the second day in the area to experience even more of the mountains and coast. This circuit drive from Apollo Bay and return is a super drive on sealed and unsealed roads. It does involve a reasonable amount of narrow, winding unsealed sections. To see every waterfall listed below and visit the Otway Fly will require a very long day of adventuring. Depending on the time of year and whether you can get up and on the road early, decide for yourselves how much to do. It will require about 11 hours to do everything, including 2 hours at the Otway Fly, driving time and stopping for an hour for lunch. Picking a couple of waterfalls to visit and completing the circuit drive will be a great day out. Fill up your tank in Apollo Bay as there is no fuel on this route. Pack a picnic or buy food from the cafe at the Otway Fly, The Beechy Pub in Beech Forest or the rather funky Otway NouriShed. Other than these places along the way, Lavers Hill is the next option. Drive 3km East back along the Ocean Road to Wild Dog Road and turn left up the road all the way to the Turtons Track junction and turn left. 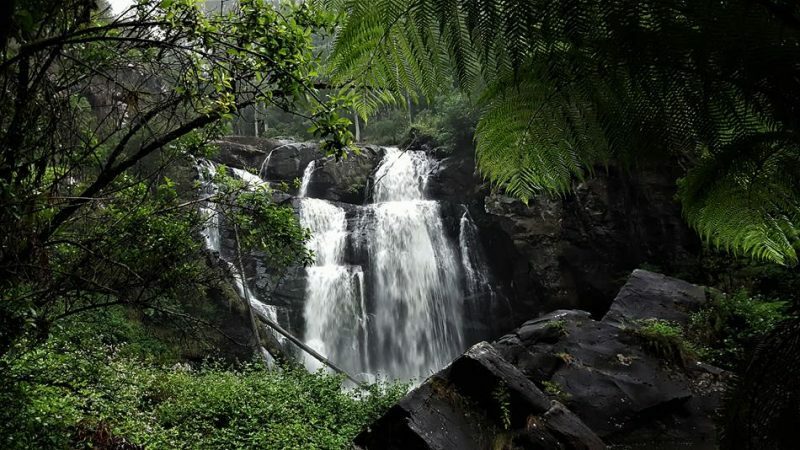 Sabine Falls – 2-Hours / 3.6 km return. Moderate to a steep walking trail with steps. These are the highest waterfalls in the Otways at 130m. Mt Sabine is the highest point in the Otways. RETURN THE SAME WAY TO THE TURTON’S TRACK JUNCTION TO CONTINUE THE DRIVE. If you plan to do the Otway Fly Treetops walk, it takes about 2 hours and there is a good cafe there. We do recommend it. 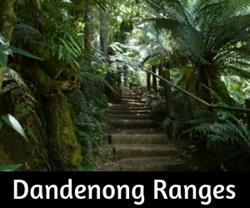 Hopetoun Falls Walk – Upper viewing platform – 20-metre walk | 30 mins / 1km – about 200 steps down. Time here – whatever suits, it is not a big area but pretty and worth having a picnic and relaxing. 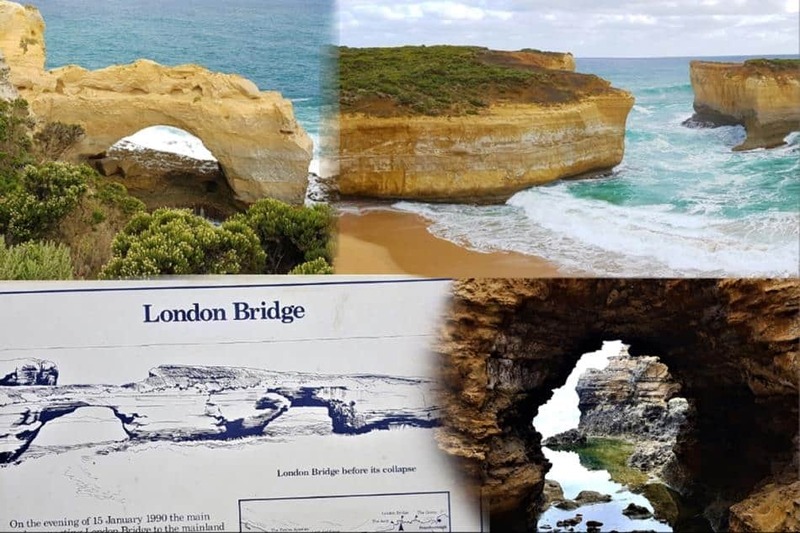 OPTIONAL – When you get back to the Great Ocean Road, either return to Apollo Bay or turn right and go about 5 minutes drive to Maits Rest Rainforest Walk or even to Cape Otway if time allows or do these on the way to the 12 Apostles the next day. The drive to the 12 Apostles area from Apollo Bay takes about 1hr 40 min. It passes through forest and farmland before returning to the coast and all the famous sights people come to see within the Port Campbell National Park. Maits Rest – 20 minutes drive from Apollo Bay, this is a beautiful, short walk on a good path through the rainforest. Stunning Myrtle Beech trees are a feature. The walk takes about 20 minutes. 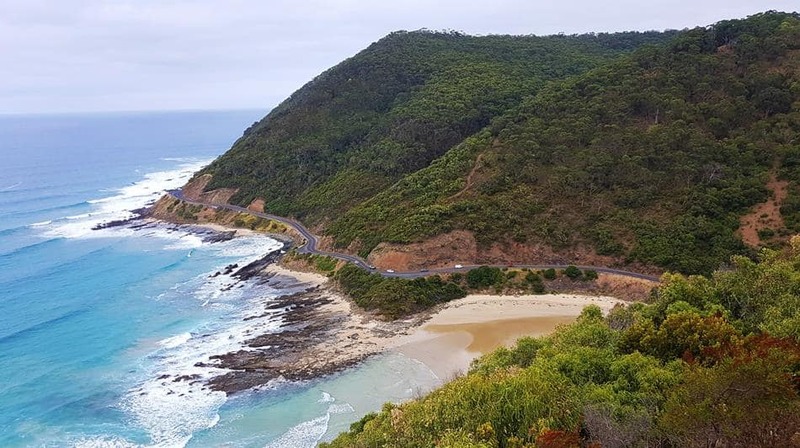 Cape Otway – A deviation from the Great Ocean Road to Cape Otway is a pretty drive through Manna Gum Forest where koalas live. The historic lighthouse is good to see, there is a charge involved to do the tour. Read more here. It is also possible to stay out at the lighthouse, find the best deals on accommodation. Melba Gully – Another pretty rainforest walk just past Lavers Hill. Ancient Myrtle Beech Trees and a small cascade, the walk takes about 30 minutes. At night, this is a popular spot to see glow worms. Maybe stay nearby if you are keen to see them. Princetown – A tiny township, very close to the Twelve Apostles. Princetown has a boardwalk to the beach, a cafe and a fairly basic campground. Gibsons Steps – This is one of the best beaches, in my opinion. 88 steps cut into the limestone cliff face (a lot less than the 1000 Steps near Melbourne). Stunning views towards two of the famous rock stacks of the 12 Apostles. During storms or high tides, the steps may be closed off but the lookout platform is still worth stopping for. Parking is extremely limited at Gibsons Steps. From the nearby 12 Apostles car park it is possible to walk back to Gibsons Steps if you have been unable to park. Twelve Apostles – It is a very short, 2-minute drive to the 12 Apostles car park. Loads of free parking, plenty of space for caravans and motorhomes. Helicopter scenic flights leave from here and are highly recommended! Mid to late afternoon is the busiest time here. Staying overnight in Port Campbell will enable travellers to return for sunset or sunrise. The walk from the car park takes a couple of minutes to reach the viewing platforms. Toilets and basic cafe for drinks etc. Helicopter Rides – Book ahead to do one of these tours or just show up on the day. 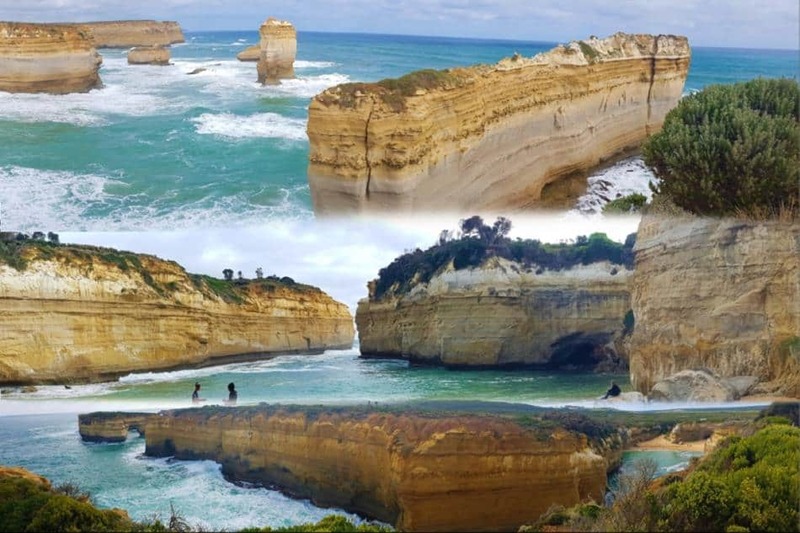 Loch Ard Gorge – Named after one of the most famous shipwrecks along the coast, Loch Ard Gorge is… gorgeous. Walk out to the ‘Razor Back’ formation, follow the shipwreck trail and head down to the beach. Walks continue around the cliff top to the historic cemetery, Mutton Bird Island to the Blow Hole and further on to another beach. It is easy to spend a couple of hours exploring this area. Return the next day to see more of the area perhaps. A sweet little fishing village with good restaurants, a lovely beach and cliff top walk plus an ideal place to stay overnight. Lots of accommodation options. 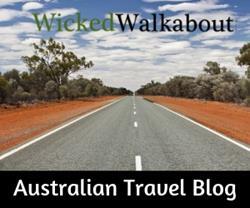 Not far from Port Campbell, on the road towards Warrnambool are more special places to visit. GORGE Chocolates GORGE Chocolates was established in 2004 in the countryside just minutes from the 12 Apostles. A modest beginning soon gave way to a business appreciated by locals and tourists in the area. Experience Timboon and the Rail Trail by hire bike. The Crater to Coast Bicycle Hire service specialises in hiring out mountain bikes for a fun day in the outdoors. They also have bike trailers available so the whole family including your pets or kids can come along too. Allensford Cheese World Anyone who enjoys the delights of cheese will love this place!